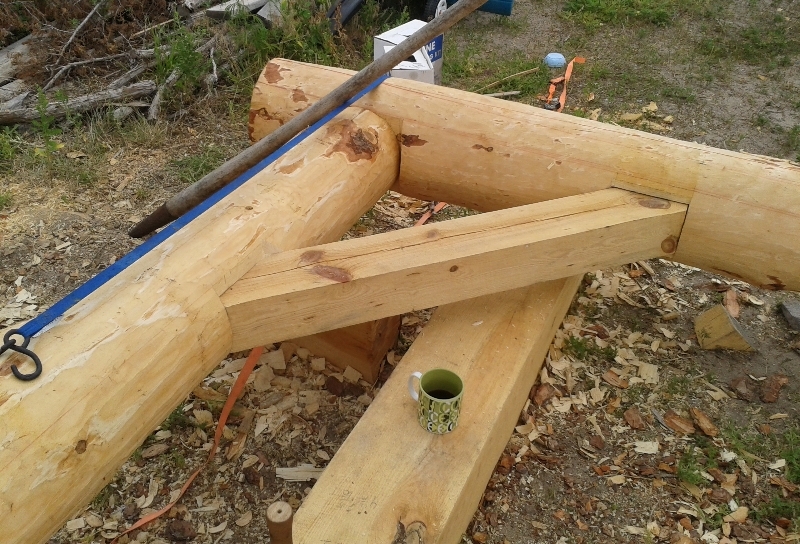 This is a simple King post truss. This one is small, but it's built just like the full size ones, except without struts​ due to the small size and roof pitch. 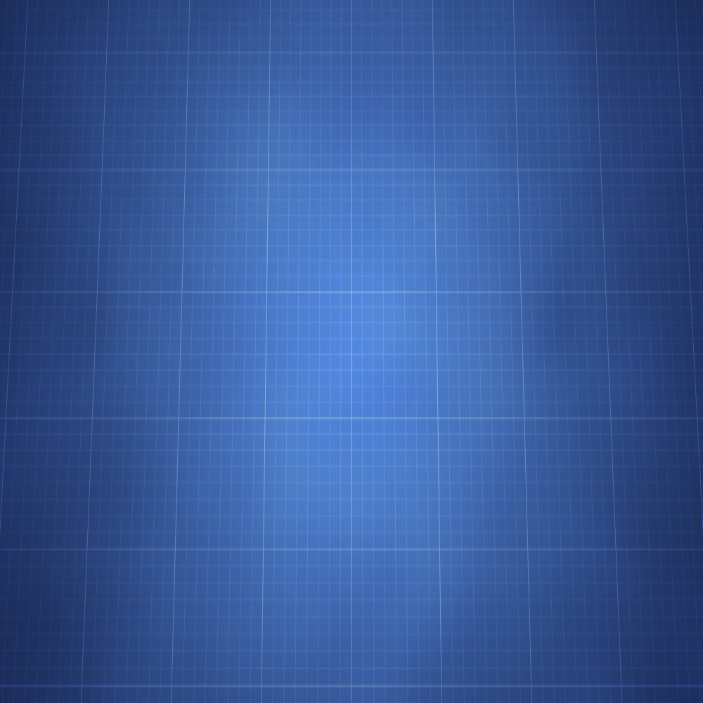 This is a large frame in the design phases. 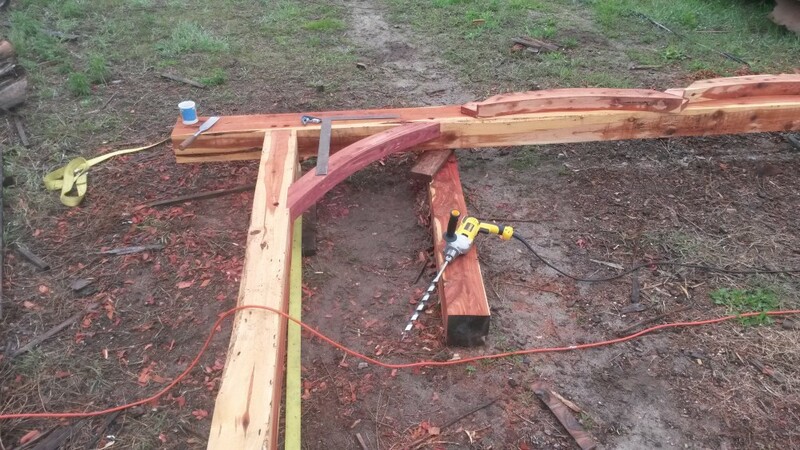 Timber framing with logs is not for the faint of heart. 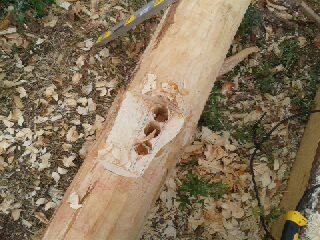 But, a brave soul with a chainsaw, level, chalk line and the skills to scribe joinery should do just fine. 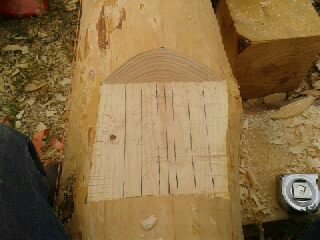 This picture shows mortice layout. 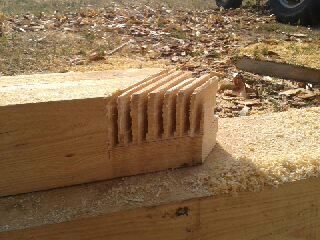 A brace layed out and ready to be cut. "When we build, let us think that we build forever. ​​​​'See! 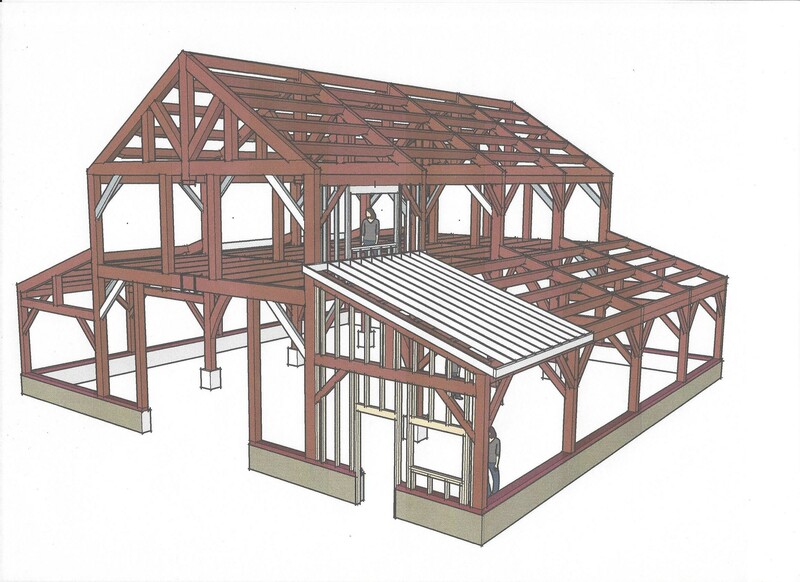 This our father did for us' "
What exactly is timber framing? 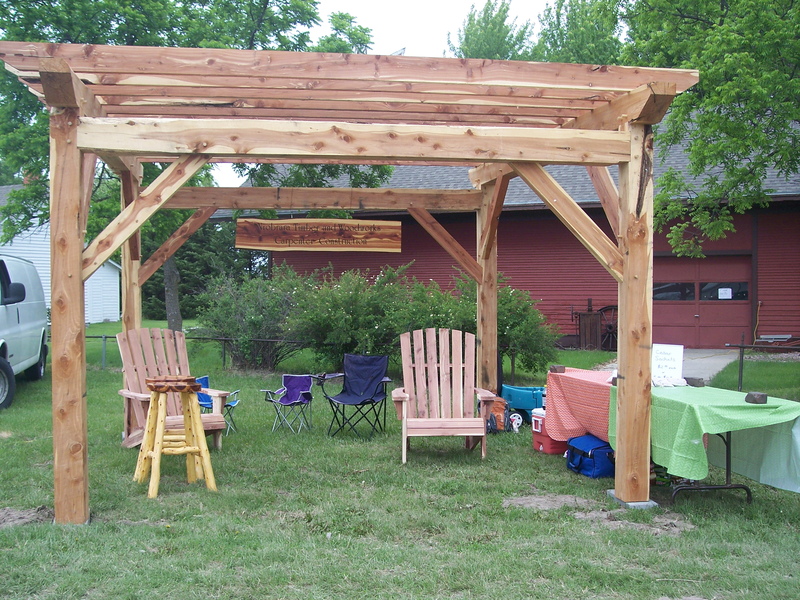 ​Timber framing is essentially framing with large timbers, 5"x5" or more. 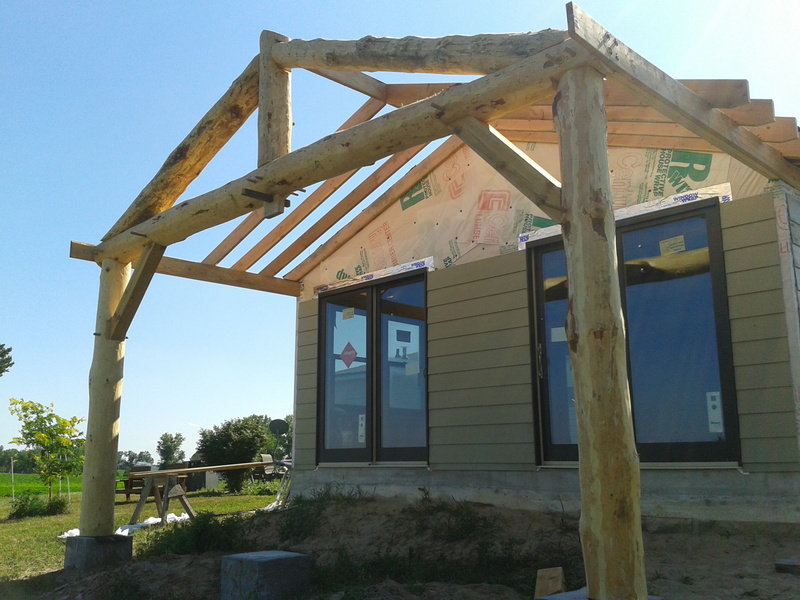 Timber framing is a very strong building method and can be very beautiful as well. It was the standard building method throughout the civilized world for centuries possibly for millennia. 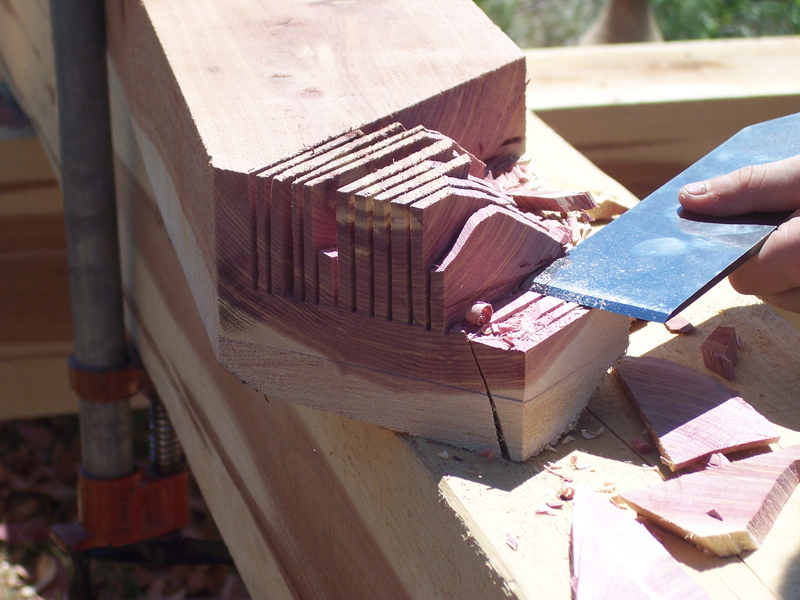 Traditionally all wood joinery is used. This is because in the days before the industrial revolution iron was much more difficult to manufacture than a wood joint. 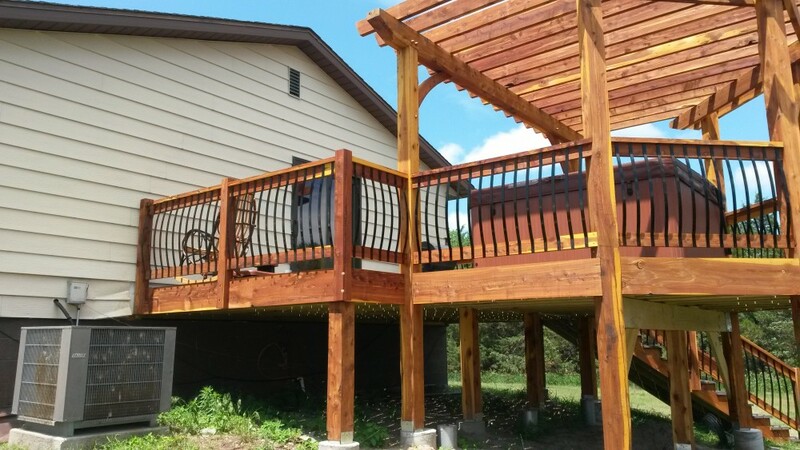 Iron and steel were used where they were necessary​​ but, as wood joinery can be every bit as strong as a steel plate bolted to heavy timbers, the joiners art flourished. Many of these buildings have survived for hundreds of years, one in particular surviving for over 800 years. You just don't see that kind of longevity with stud framed, plywood sheeted buildings. ​Due to the industrial revolution, nails and light framing lumber became readily available which fills the building needs of the masses. But, whenever advancement in the name of speed is made something is lost. What was lost was the pride in craftsmanship. Today framing is considered "rough carpentry" it is intended to be covered up. Houses being built today are expected to last approximately 50 years and approximately 20 years before a major remodel is necessary. These changes did not happen over night either. There are several 100 plus year old light framed buildings in this area and many of them were built by craftsmen who took pride in their work. As a professional carpenter I still take a great deal of pride in my work whether it's light framed or timber framed. But, the modern norm is to get it produced as cheaply and as quick as possible. 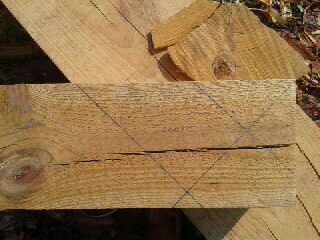 Timber framing is a little different since generally the framing is exposed the framers take great pride in producing joinery as tight as possible. They know that they are building a product that is designed to last for generations and it shows in their work. 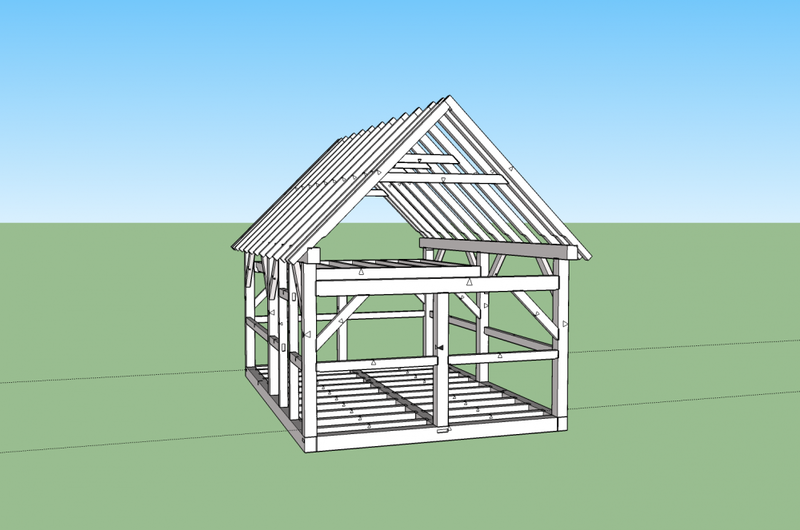 At any rate while many people have never been in a timber framed house, I would venture to say that most Americans have been in a timber framed barn. Why is that? For two reasons really. Plaster walls became popular and affordable for the masses in the 19th century so the timbers in many early timbered houses have been covered up and if you're going to cover the framing anyway why bother with timbers, so as light framing lumber became more readily available people quit building houses with timbers. There are some exceptions to this of course, but you don't see very many timber framed houses built post Civil War. Re-construction projects were well underway during this time period as well as the westward expansion. 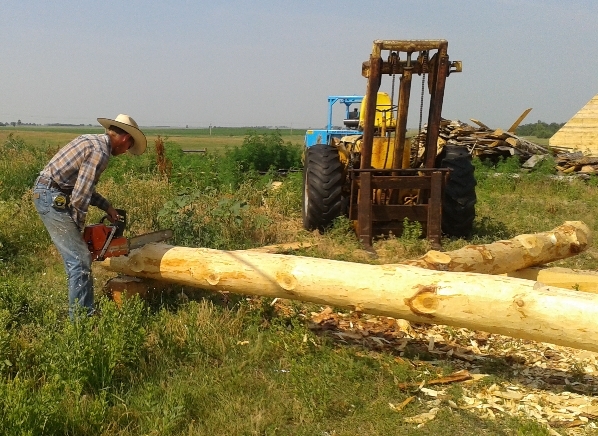 A lot of the Midwest was tree-less and settled late, so when it was settled timbers weren't shipped in, dimensional lumber was shipped in. So, these areas are basically void of old timber framed buildings. The railroad and the lumber barons of the late 19th century played a huge role in standardizing dimensional lumber to what it is today. All of these factors contributed to make light framing the normal framing method for houses. 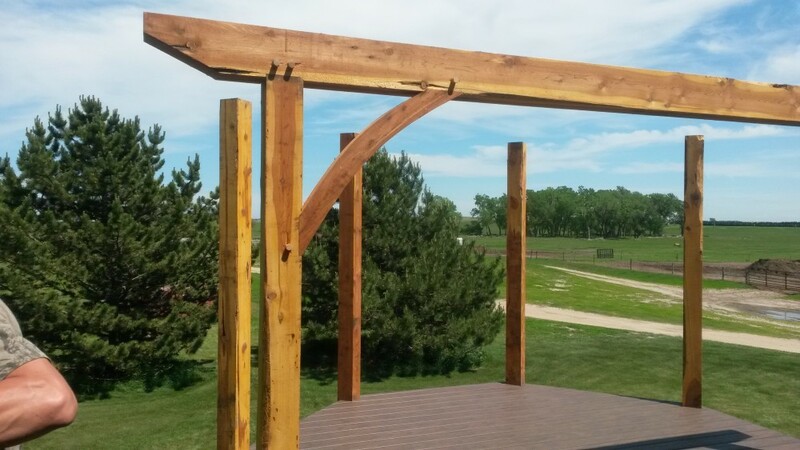 ​ However, timber framing was still used in barn construction through the 1920's. 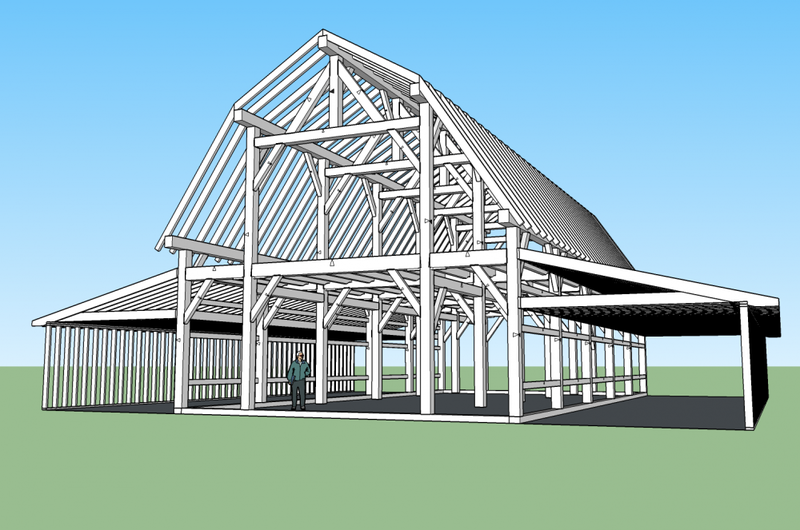 A lot of the reason for this is that in a barn people need a big open structure. Also, barns were almost never plastered on the inside. 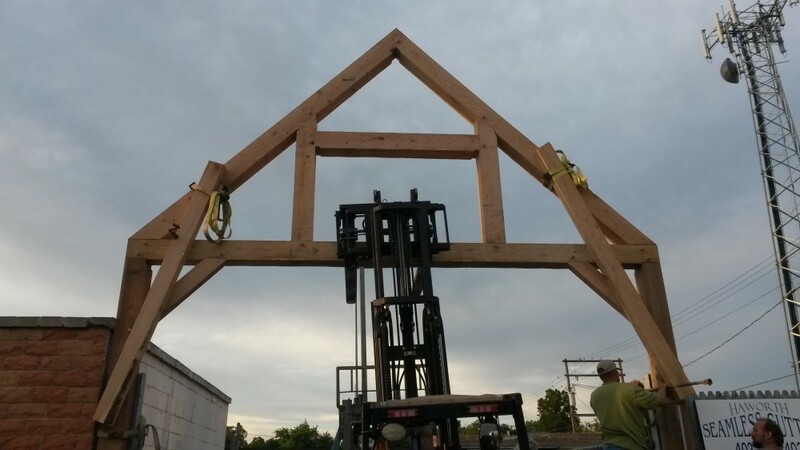 Timber framing fit the bill. 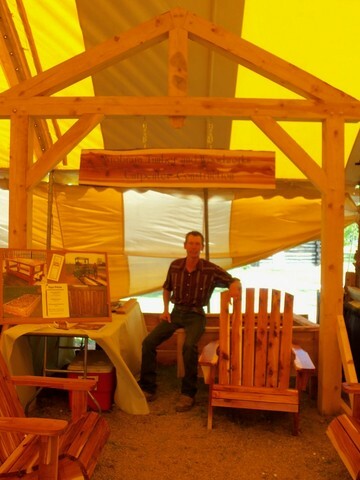 ​Almost everybody I talk to has had a great uncle who had a timber framed barn. And they tell me how as a child they loved to play in the barn and see the beams and often walk across some of the beams as a balance beam. I am no exception my​ first memory of a timber framed building is of my great uncle's barn in Pennsylvania. It had an earth ramp to the second story so you could drive a tractor or a wagon right into the second story. When I was very young he still milked cows in that barn. As with any project worth doing, your timber framed project starts with an idea, then a plan. Here is a basic one room cabin plan, 16' x 24' with a half loft. 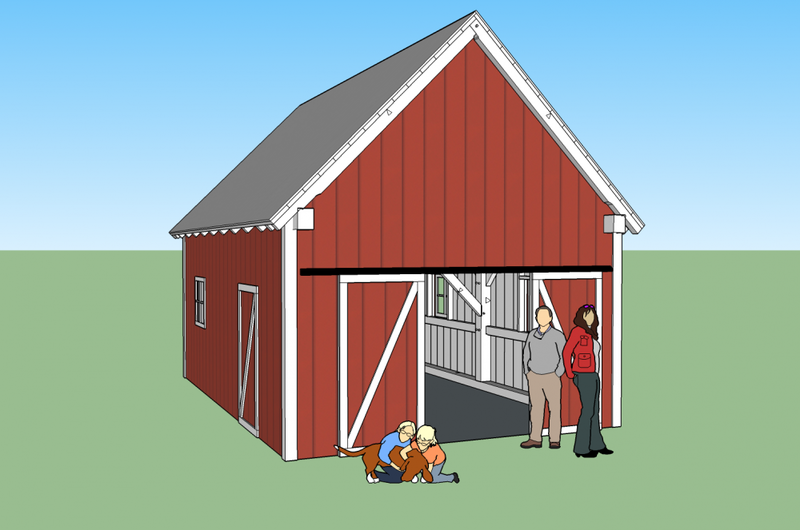 With a few slight modifications it can be set up as a small barn with a hayloft, or a garage, or a storage building. It is a very versatile frame. This is a concept idea of the same frame as above, set up as a barn. I think it would be very nice for a family with one or two horses, perhaps a few goats, or other assorted livestock. 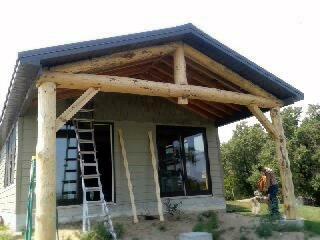 Please contact me for your upcoming timber frame project. I would love to make it happen!